The only thing going for this utterly forgettable movie is its songs. Babita looked very dull with the proceedings and appeared to be disinterested in the film. On the top of it, she was very shabbily photographed. Shashi, mimicking his older brother Shammi, was already showing signs of bulging in wrong places. Those skin-tight shirts he was wearing did not help. Om Prakash gave a good performance. 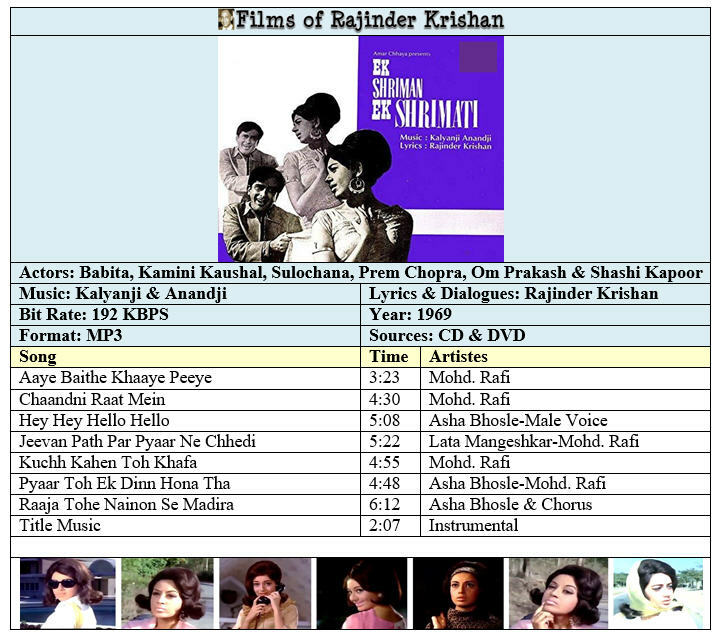 As mentioned earlier, Kalyanji & Anandji’s music desperately tried to lift the movie from its doldrums. But for no avail. All three solos by Rafi Saab and the duet “Jeevan Path” by Lataji and Rafi Saab are good. The latter song indeed is very good. However it is not included in the film. It is only available on records.